It is not often you come across an article that is chock full of tips and trivia about flatware. It’s always nice to see that someone out there shares your passion for something as simple and yet important as cutlery. Joe Lutrario at Big Hospitality has written a great piece that is the A to Z about using that fork, spoon or knife. 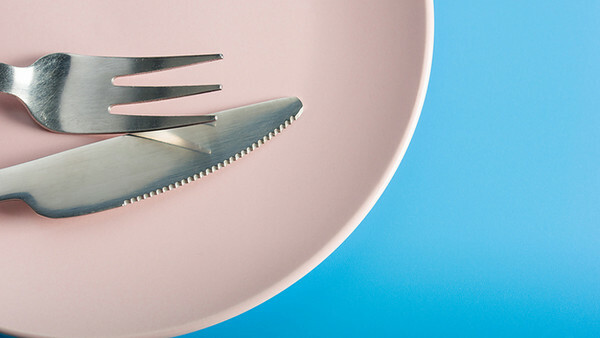 Putting knives in the dishwasher – Don’t cut off a finger. I dedicate this post to my wife who seems to suffer from this problem. Well actually I suffer from the problem and she’s the cause. 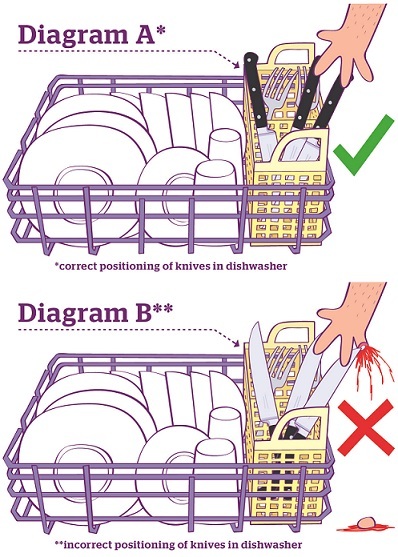 When you put knives in the dishwasher, according Richard Herring, “Knives go down, for fork’s sake”. At the Metro UK Richard has a great article about the protagonist in his “novel” that dies by tripping over in the kitchen and landing on a large kitchen knife that is in the cutlery section of the dishwasher, sticking point upwards. (It’s not true but still scary). Cutlery can kill it seems. 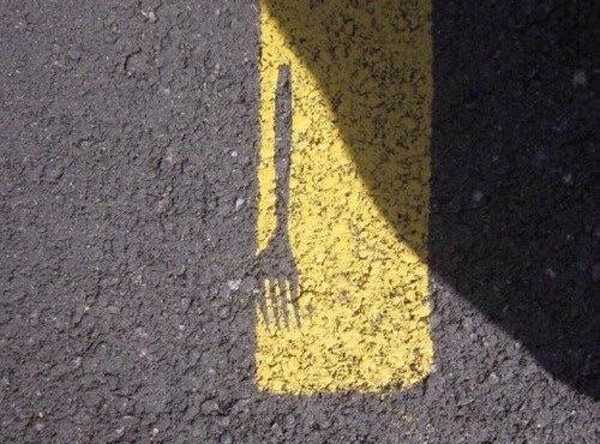 Fatal flatware if you will. Before reading that, you might want to check out our earlier post on avoiding rust on cutlery in your dishwasher. OK, I’ve finally had to sit down and write this post because of the number of complaints about some amazing products that don’t make sense to me. Many consumers are complaining about rust spots on cutlery, rusty flatware and tarnish on silverware. Cheap carbon steel and running it through the dishwasher I can see that happening, and I can’t help you there. But for most “stainless” (a topic for another day) you shouldn’t have a problem. Don’t leave cutlery in stacked the sink every so slightly wet. Like spoon in the bowl with water in it that is “soaking”! Don’t leave dirty wet utensils stacked against each other in the dishwasher. Don’t let the spoons “spoon” each other, spread them out to the let them air out and dry. Don’t leave washed and wet utensils in the dishwasher. Open the dishwasher door, let them dry out and put them away. Use a good rinse agent in your dishwasher and see the previous step. Maybe check your water quality, it might be too hard? Try a more friendly dishwasher detergent. Don’t use bleach, oxy or citrus based if you can. If you paid good money and love the cutlery, then hand wash it lazy pants. TL;DR – Rust comes from moisture, salt and contact with other metals. Separate and keep dry.